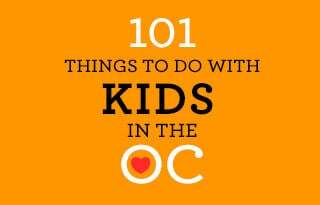 on friday nights or saturdays, we love to get out as a family and do fun activities around the OC. whether its the beach, the movies or exploring new places, we are always looking for something fun AND that the whole family will enjoy. 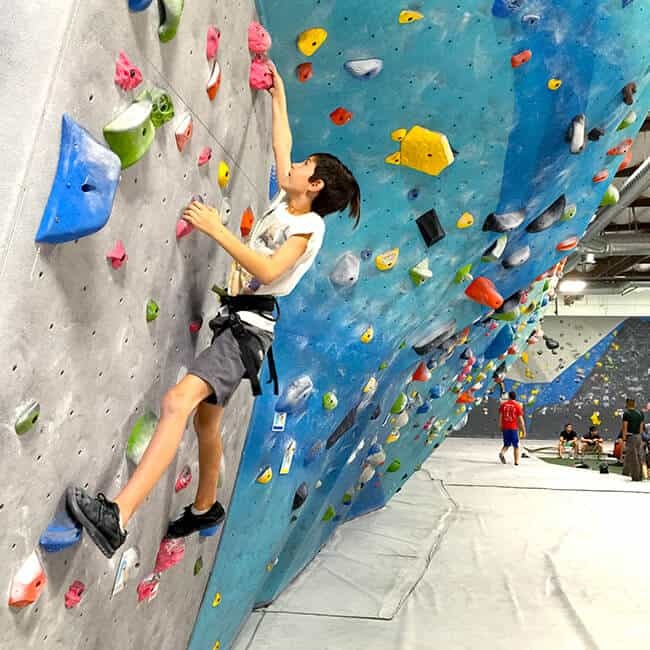 one of our most favorite places to go is to Sender One in Santa Ana. 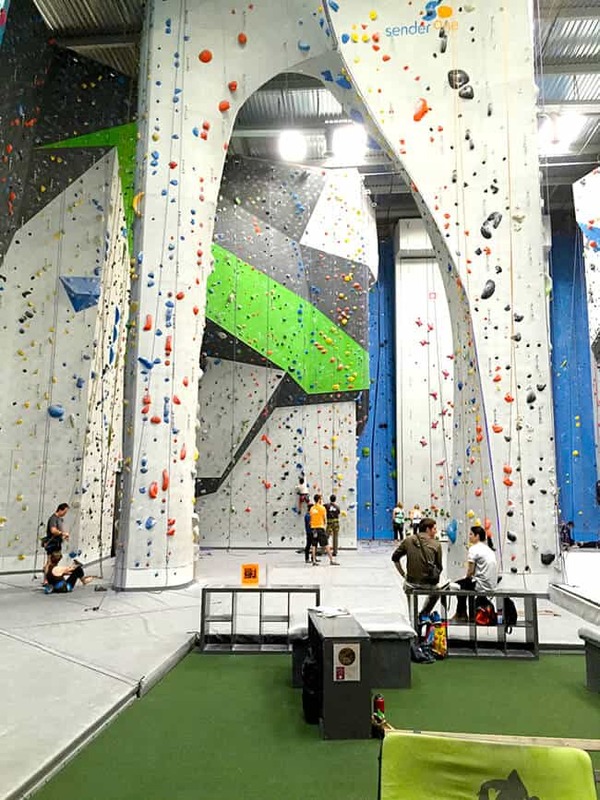 it’s an awesome indoor rock climbing center here in Orange County. 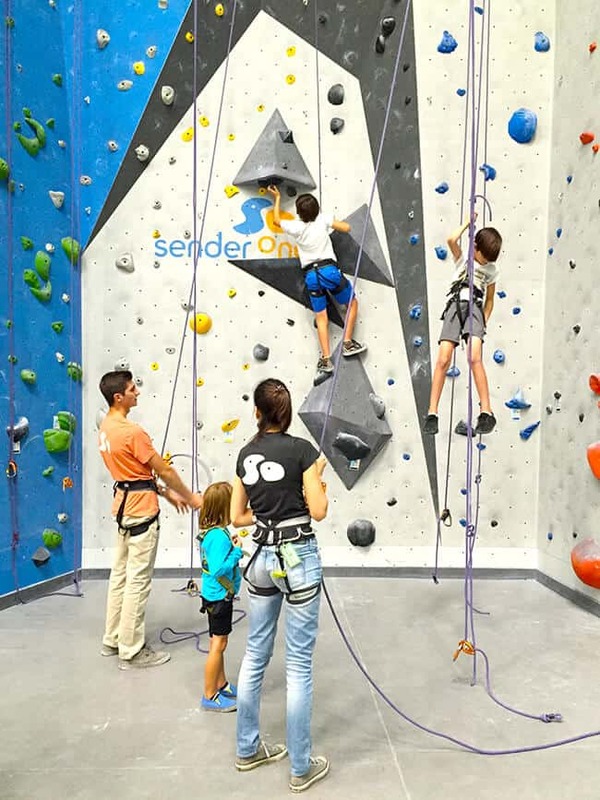 Sender One consists of two areas – first, there is the main area where pros to beginners come to indoor rock climb, and then there is a second area, Sender City, that great for kids (as well as parents) with brightly colored climbing challenges and obstacles. 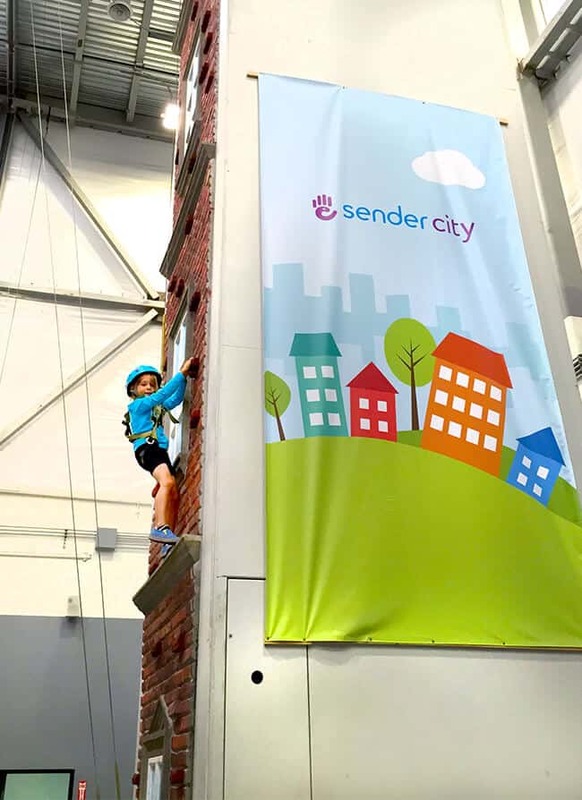 i have written about Sender City before and how amazingly awesome it is. the only thing that has changed since i wrote that post, is its name. 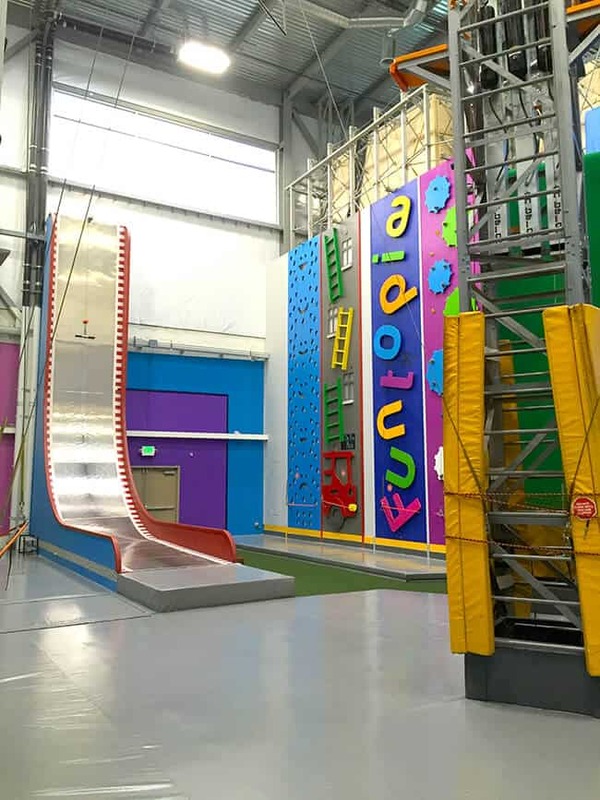 it used to be called Funtopia, but it has now rebranded itself to Sender City. it still has all the same great attractions and great staff, just a name change. 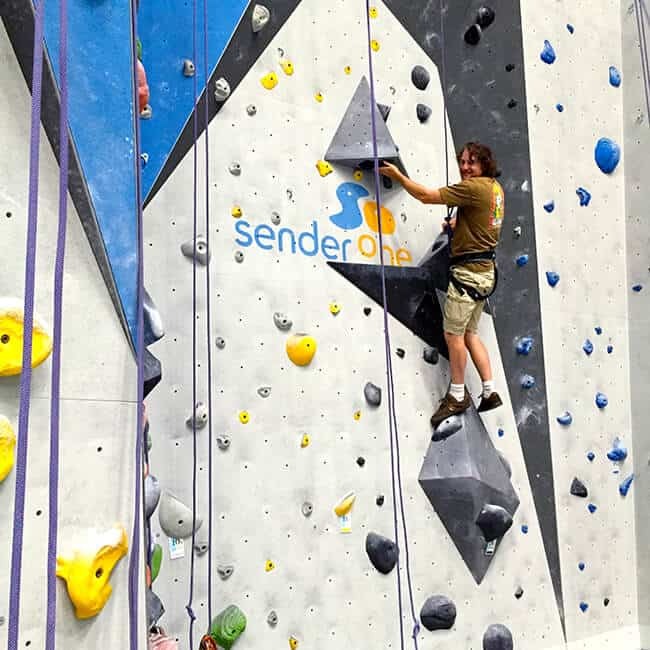 last weekend, we decided to spend the evening at Sender One, and spent some time in both Sender City and Sender One. we had a great time….as always! first we went to Sender City because it closes earlier than Sender One. 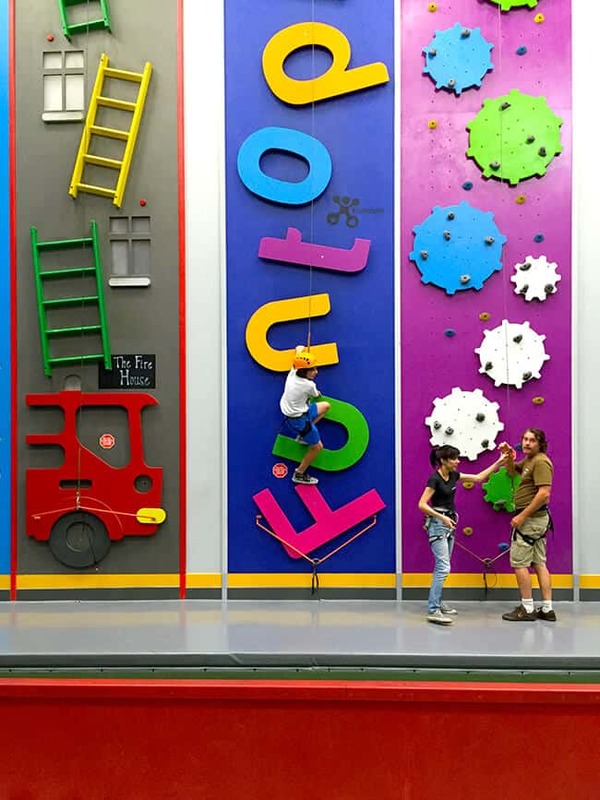 the boys and the hubby had fun climbing all our favorites. this evening, i decided just to take picture. 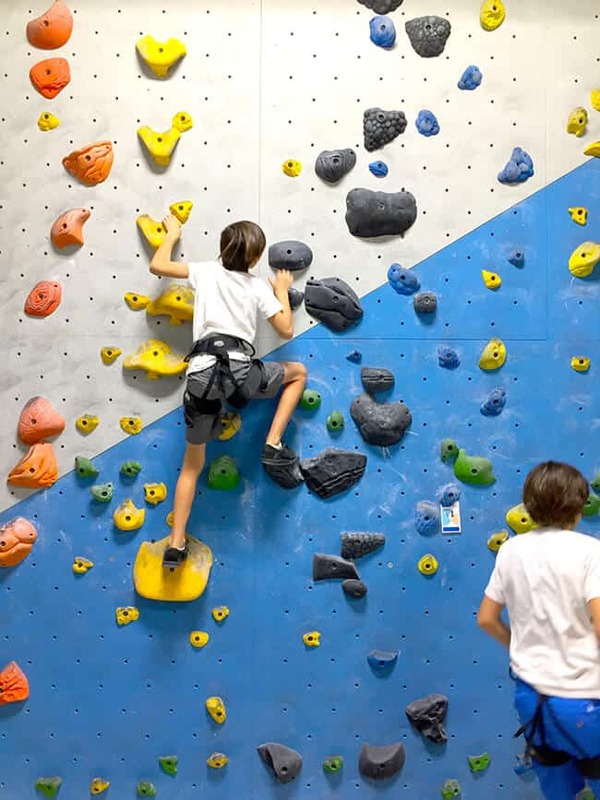 i do love climbing…but i also love taking pictures of my boys. 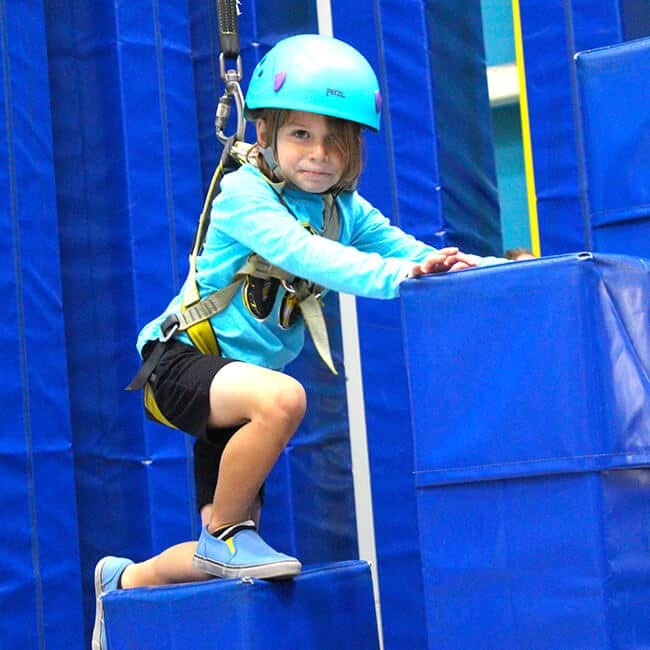 what i love about Sender City, is that it is a great place to help kids learn confidence. 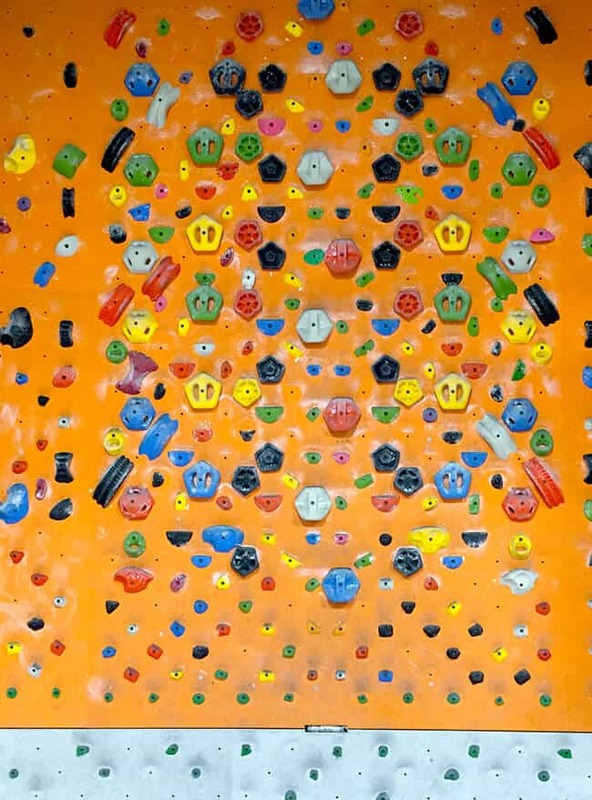 a lot of the obstacles seem scary at first, but it is fun to see them try again and again and gain the ability and confidence to get to the top. it’s hard to believe that little Vann was scared at first..and then to see him climb to the top and jump was amazing! and parents have blast too. it’s also great exercise! 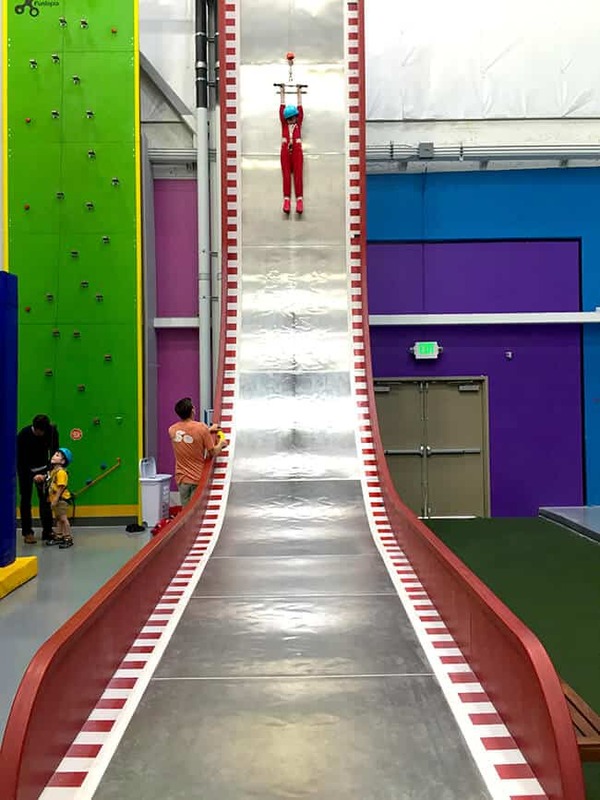 then there is the giant slide! half of the family was a bit scared to try it out, but the other half loved it. 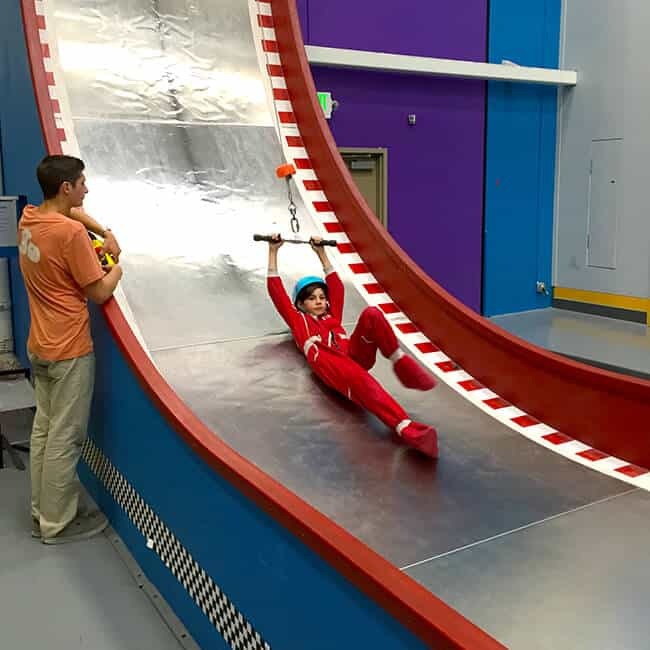 by holding onto the handle, you get pulled up to the top of the slide. when you let go…..WHEEEEEE!!!!!! you get a un drop down he slide. 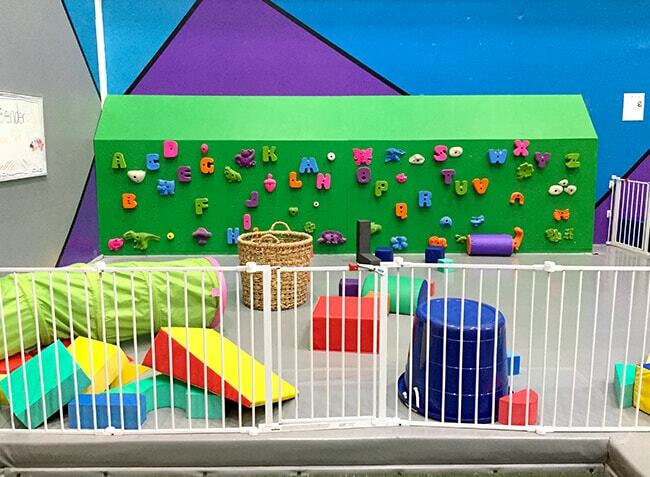 there’s a new area in Sender City, a toddler area. 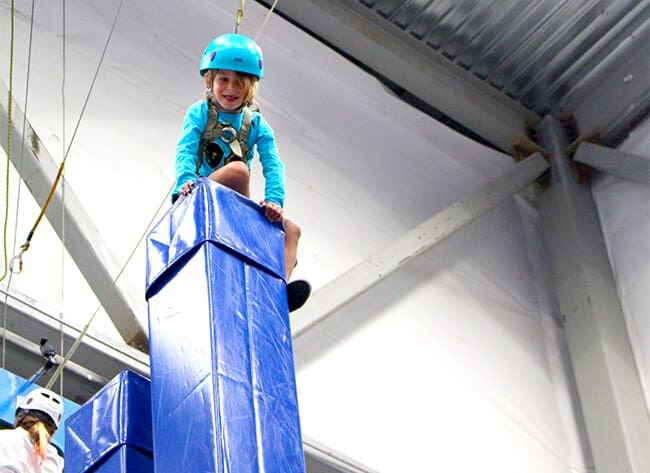 it’s great for those smaller kids and toddlers who are not quite big enough to climb. 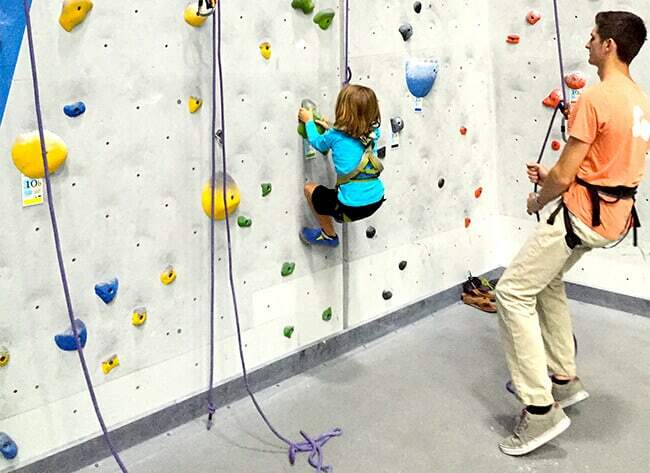 this way parents can keep watch on both their kids in Sender City climbing area, and in the toddler area. 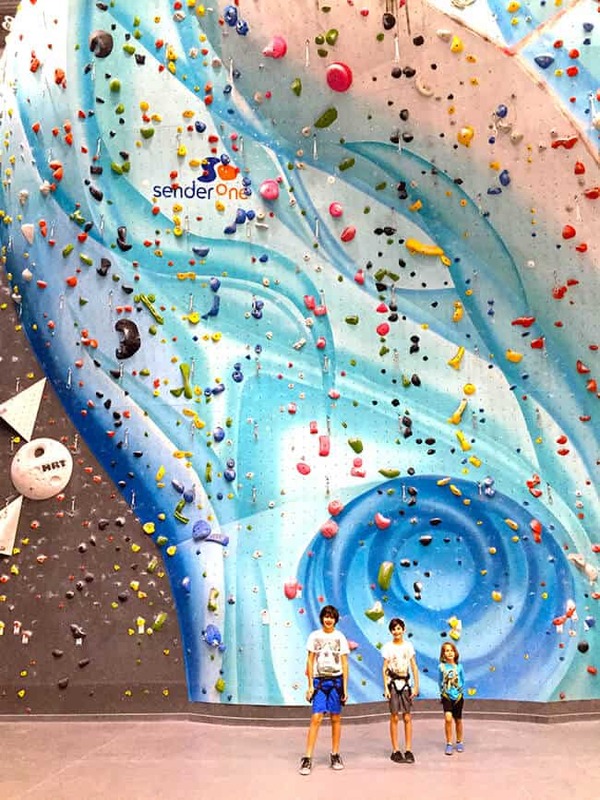 after we were done in Sender City, we headed over to the main climbing area of Sender One. let me tell you, this place is amazing!!!!! 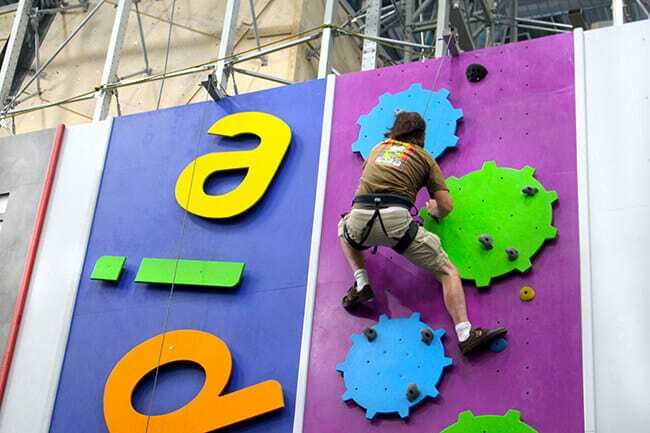 people from all over come to Sender One to climb there amazing rock walls. 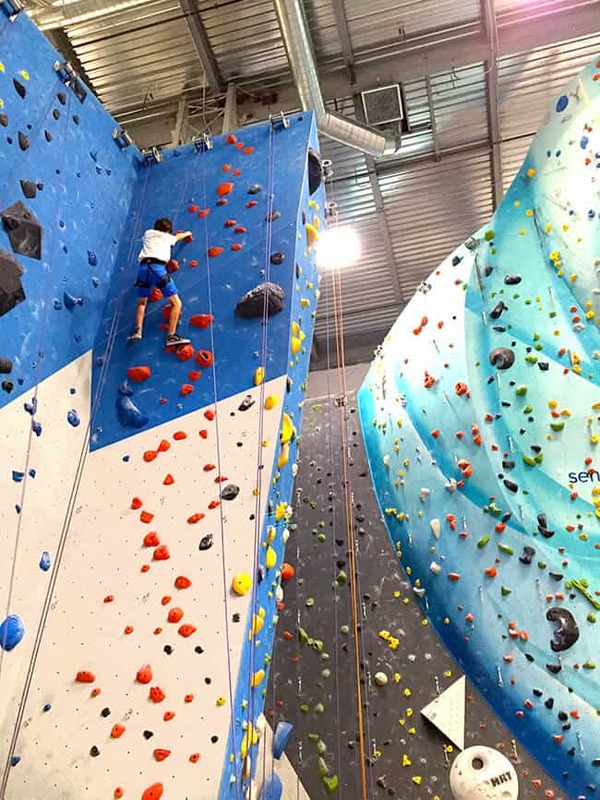 they offer classes to beginners everyday, and you can come in rock climb for a daily fee that is pretty reasonable. 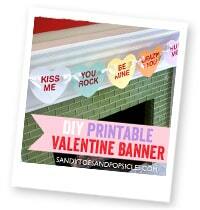 if you are a beginner, head over to the Sender One website to check out the beginner info. 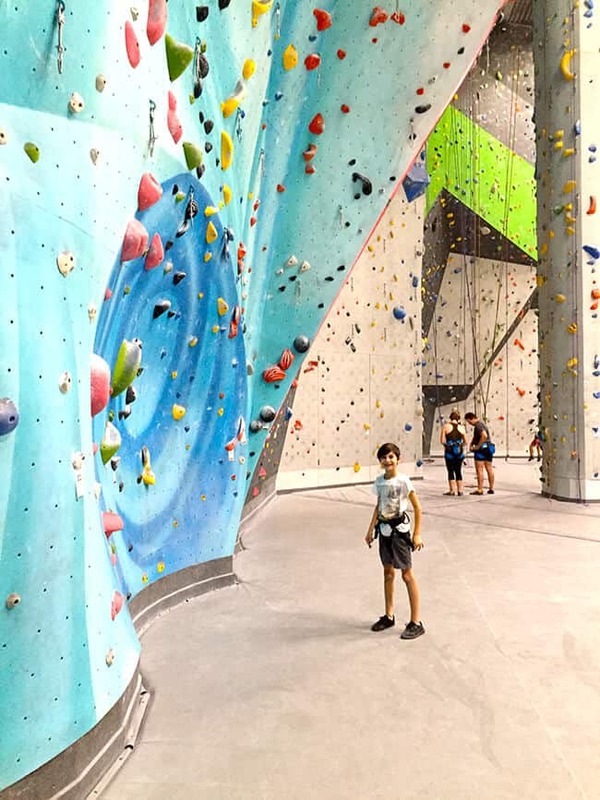 the best way to start climbing at Sender One is by taking our Intro to Climbing package – this includes a 1-hour intro to Climbing and Belaying Class, a day pass for the entire day, and your rental gear. 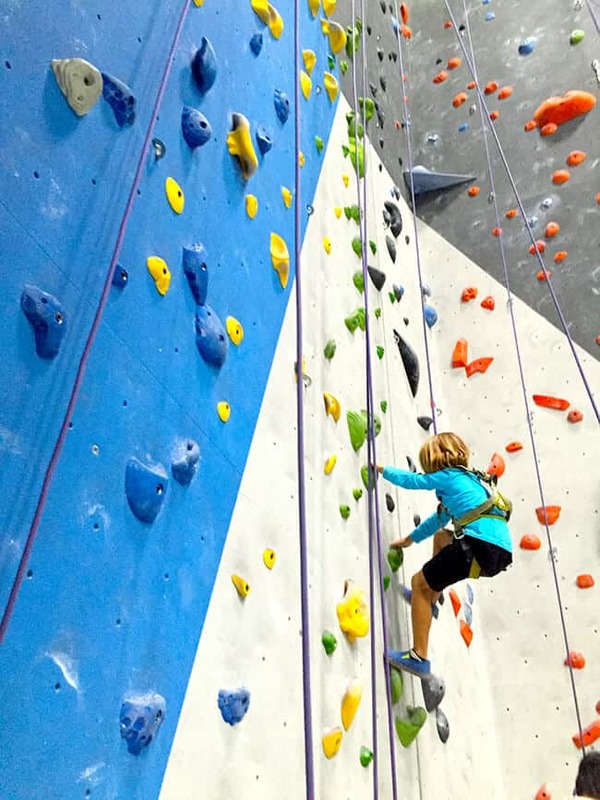 the day pass gives access to the climbing gym, fitness facilities, and even yoga classes all day. 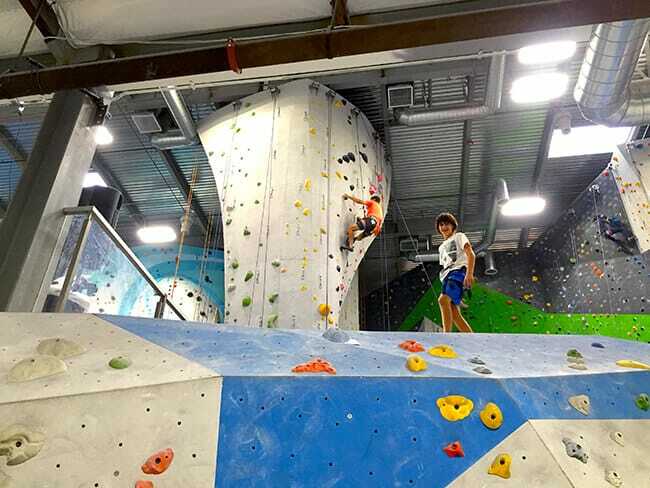 this was the first time we spent a lot of time in the main climbing area, and we absolutely loved it. there were so many areas to explore and the Sender One team members were so helpful teaching us the prober way to climb. 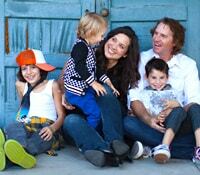 the boys had such a great time, that they are already asking to go back. 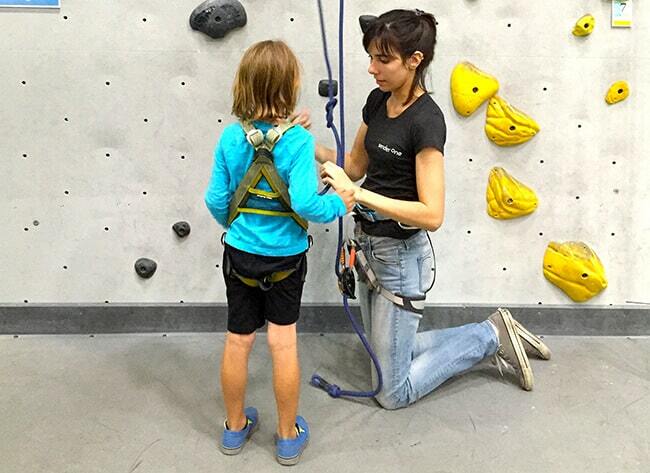 i love that they are learning, building their skills and also getting great exercise while they are at it. 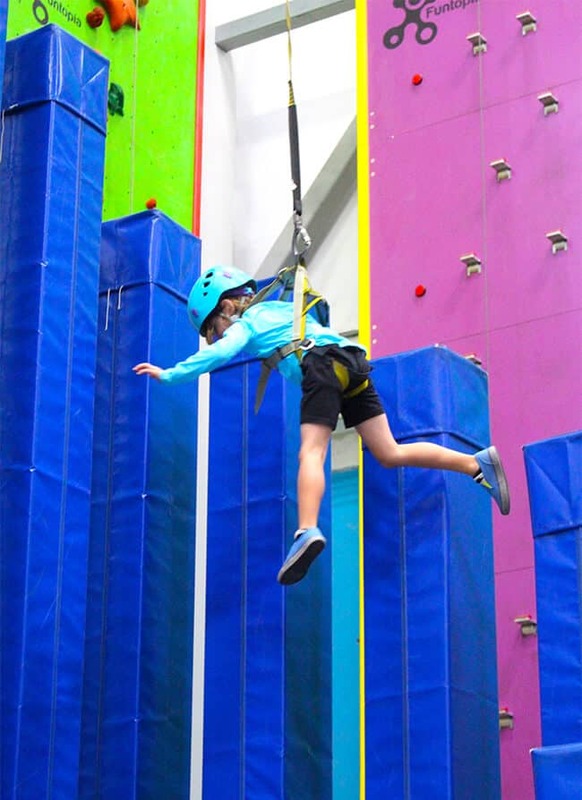 we have decided to send them to Summer Camp at Sender One because they loved it so much. this summer, i hope that you have a chance to get your kids to Sender One or Sender City. 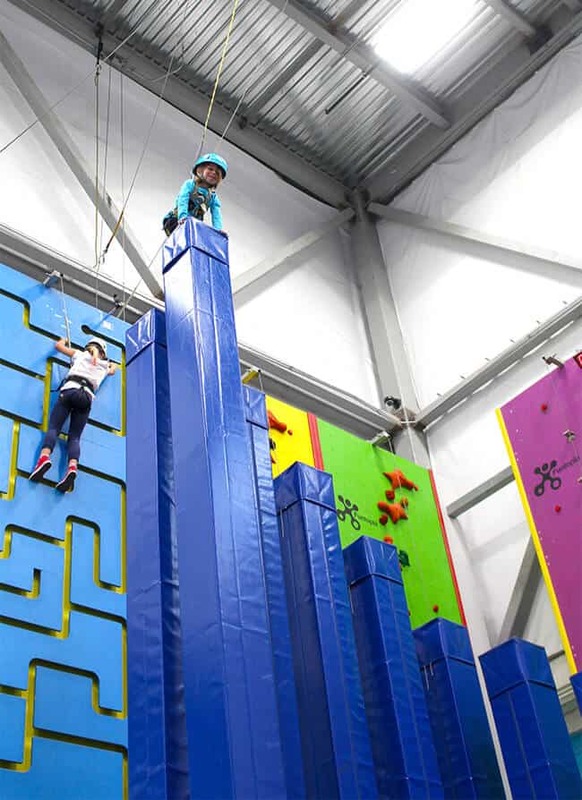 it also make a great date night adventure, so don’t think this place is just for kids….because its for everyone!!!! 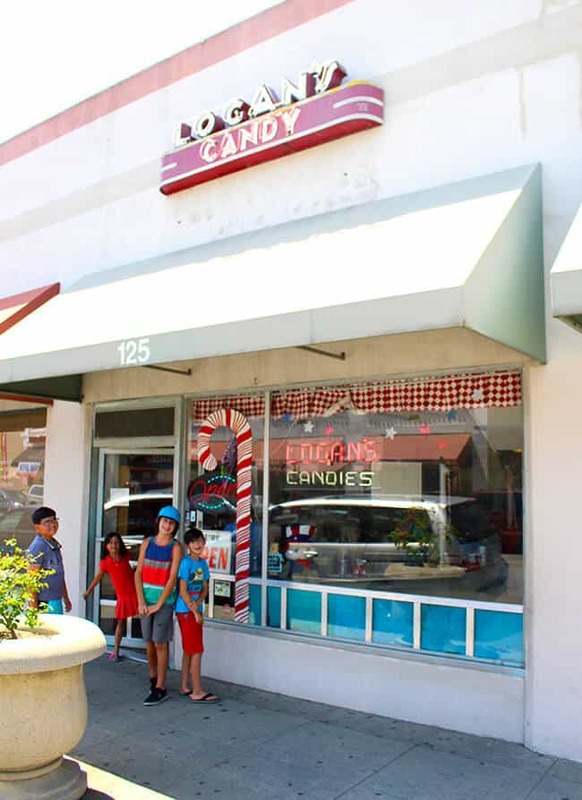 in trying to find things to keep the kids occupied during summer break, i finally made the trek out to Ontario to visit Logan’s Candies. 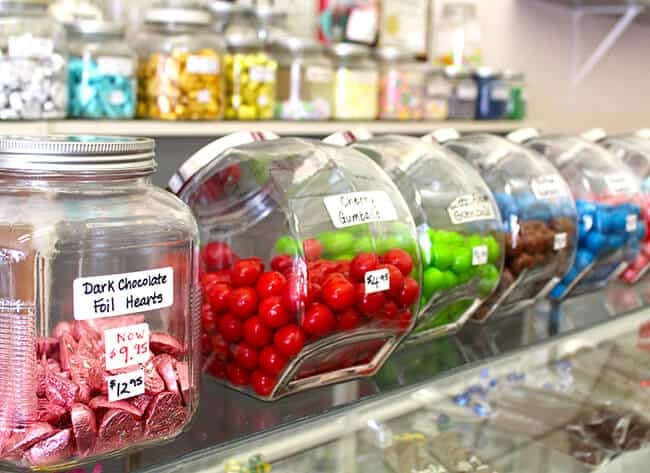 this little mom and pop candy shop is located in Ontario’s historic downtown where you can get a glimpse of the architecture of the city during the times before 1950. 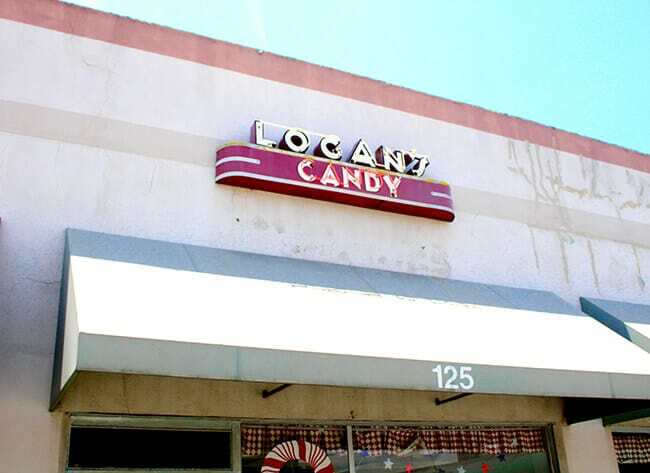 Logan’s Candies has been around since 1933 where they have been hand making signature candy canes and chocolates the same way since they opened way back when. 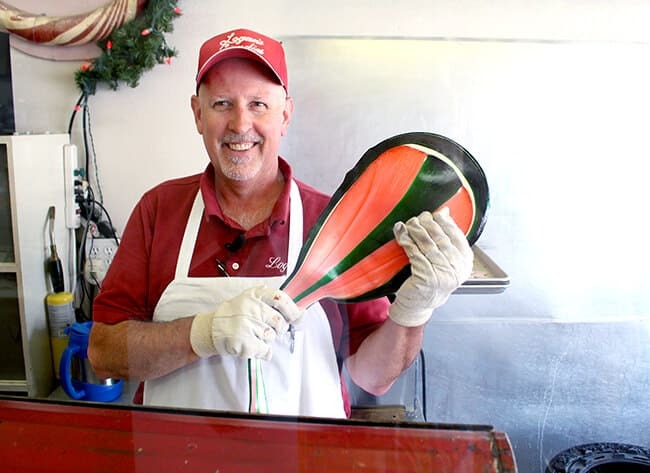 they are best known for their hand pulled candy canes and ribbon candy. 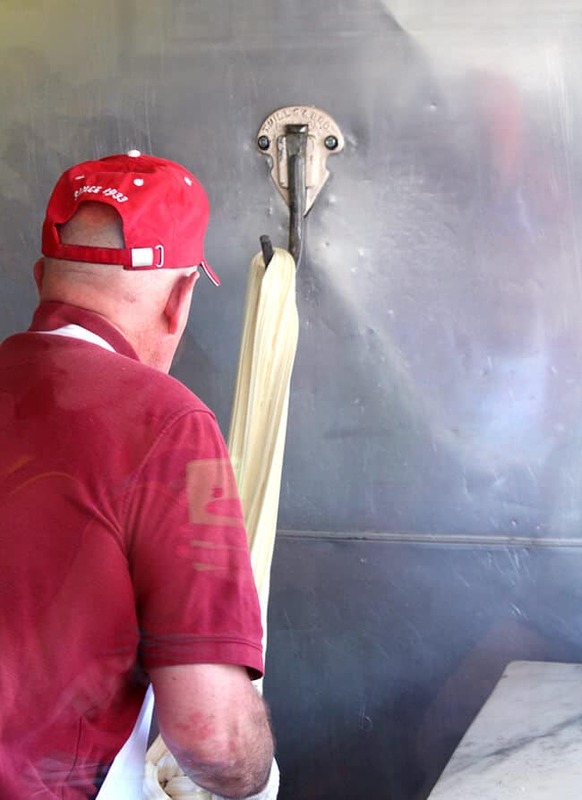 in fact, they hold the world record for the World’s Largest Candy Cane. 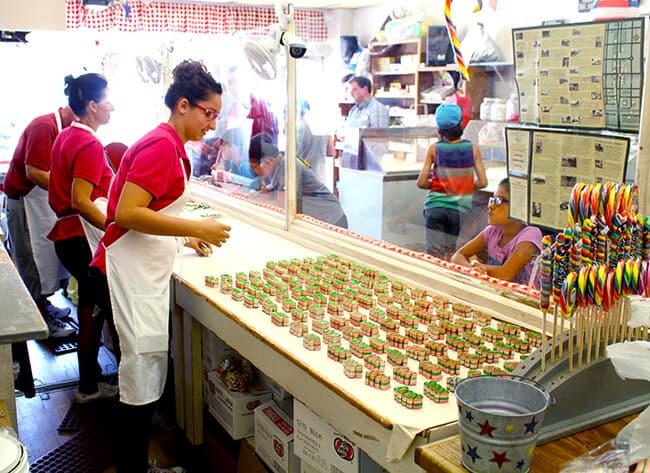 i have been hearing about their free candy making demonstrations for a few years now, and have been wanting to take the kids to check one out. 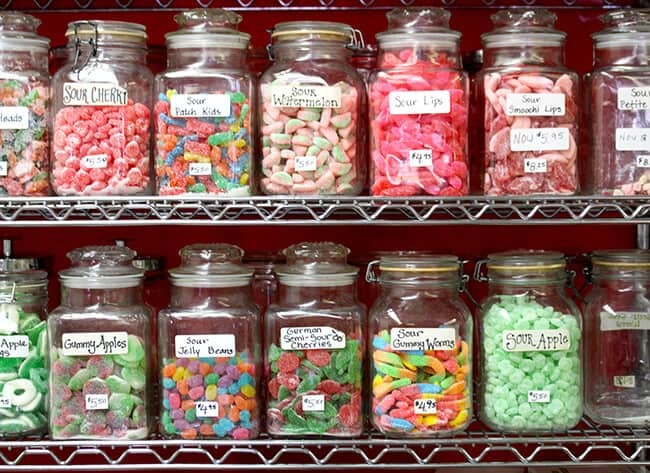 i am a sucker for brightly colored candy, especially of the vintage variety. 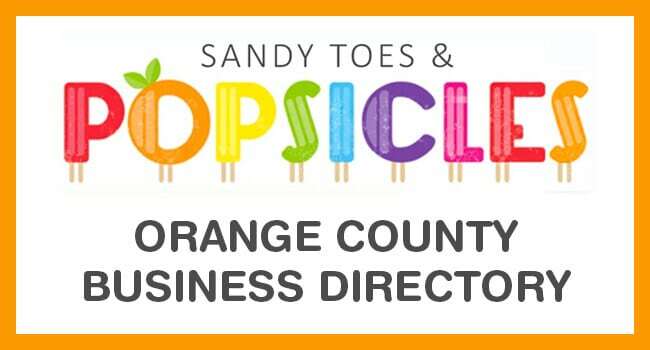 if you follow their Facebook page, you can find out when different candy making demonstrations will be held. 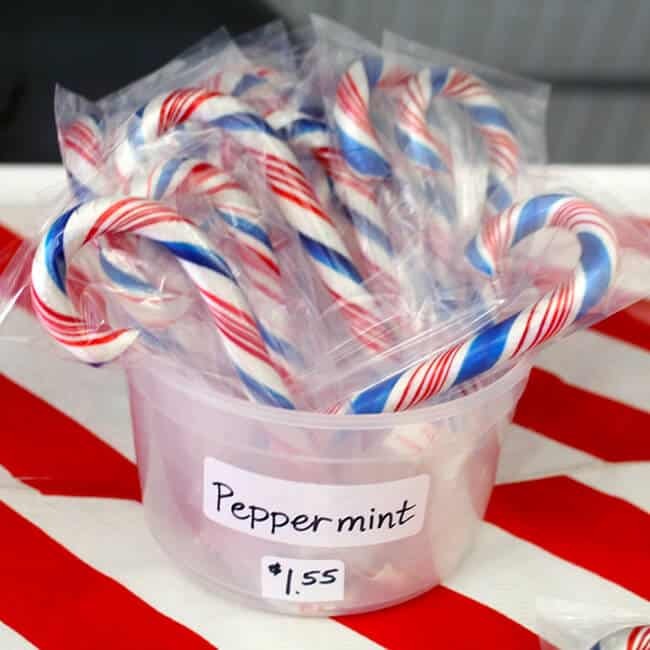 the demonstrations are around 30 minutes and show guests demonstrations of anything from making holiday candy canes to fruity ribbon candy to caramel apples and chocolate. 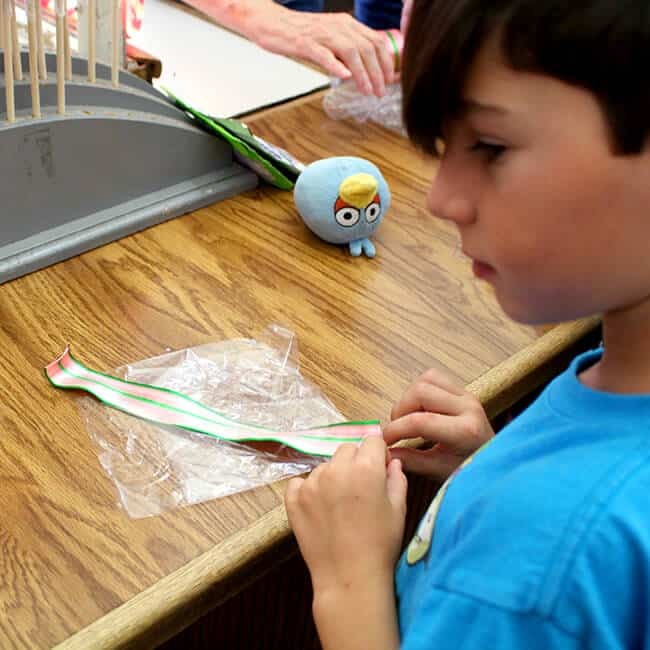 at this particular demonstration, we got to enjoy a Watermelon Ribbon Candy Demonstration. 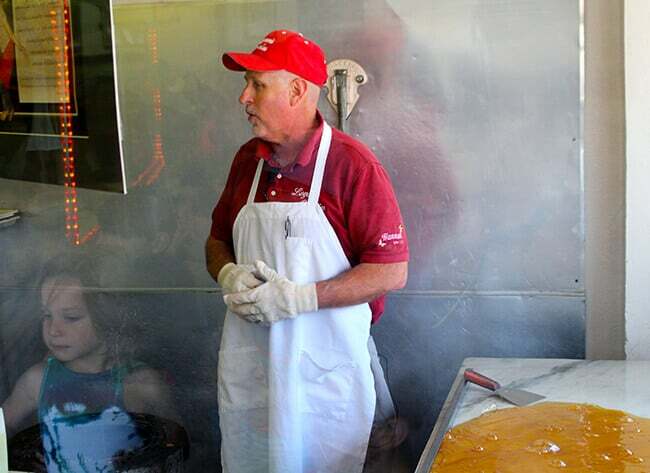 kids and adults are allowed to gather around the candy kitchen and listen to one of the owners share how the candy is made and do a step by step demo. it gets a little crowded for the demonstrations, so i recommend getting there about 20 minutes early. 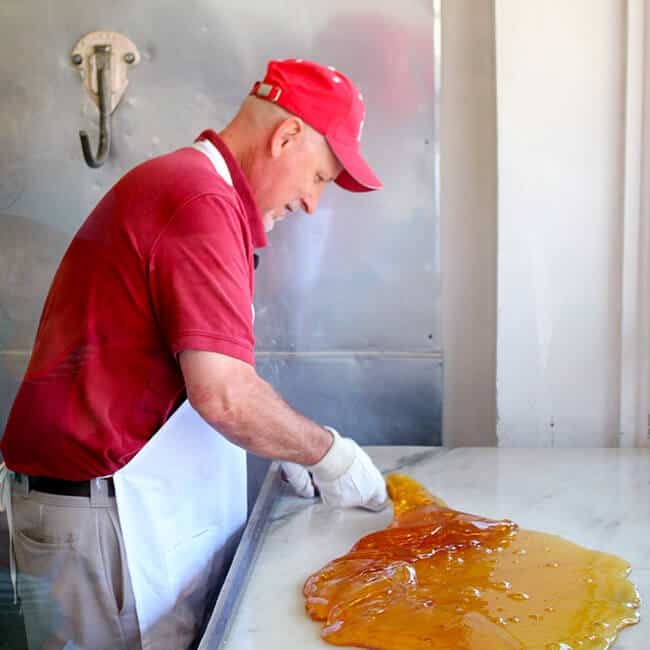 then, the candy making all starts on the original marble slab that Logan’s Candies began making candy on. 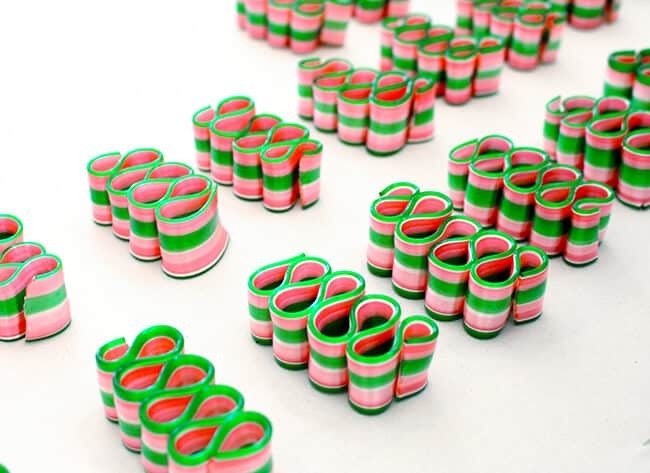 this is the same way that most hard candies begin. 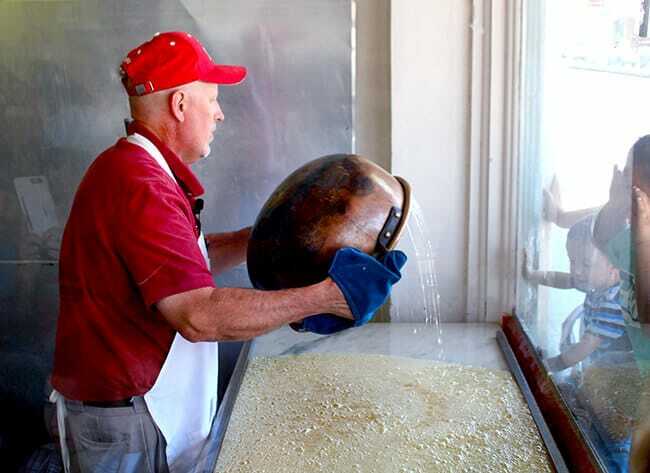 the boiling sugar mixture then cools on the slab and is divided into sections. color and flavor is added. the smell is wonderful! 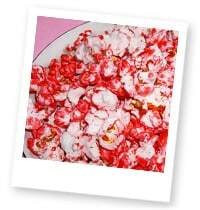 then the candy is pulled till it is the right color and consistency. 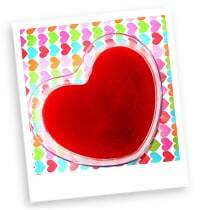 once each large piece of candy is perfect with the color and flavor, it is ready to be pulled into the correct shape. they demonstrate how they stack the pieces to get it ready to pull. 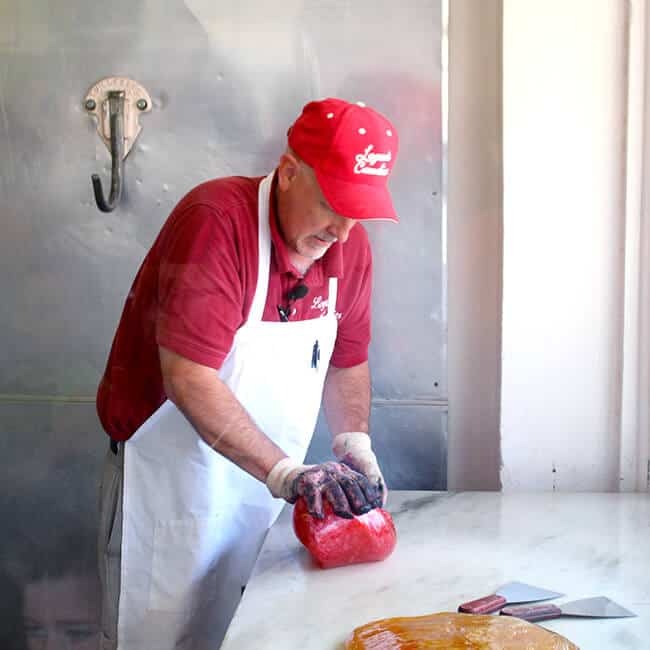 here is the large slab of colored candy pieces ready to pull into ribbons. everything goes pretty quickly from here. 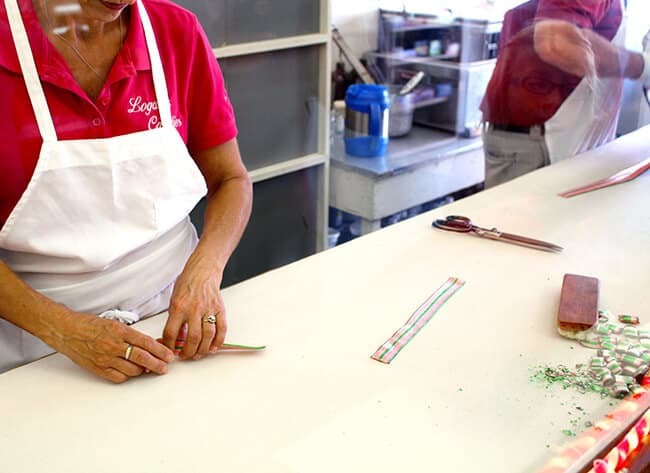 each piece of candy is pulled and cut into measured pieces, and then hand shaped into beautiful colored ribbons. 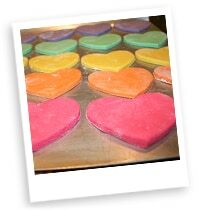 the warm candy ribbons harden almost immediately creating the hard, shiny, multi-colored candy we all know. 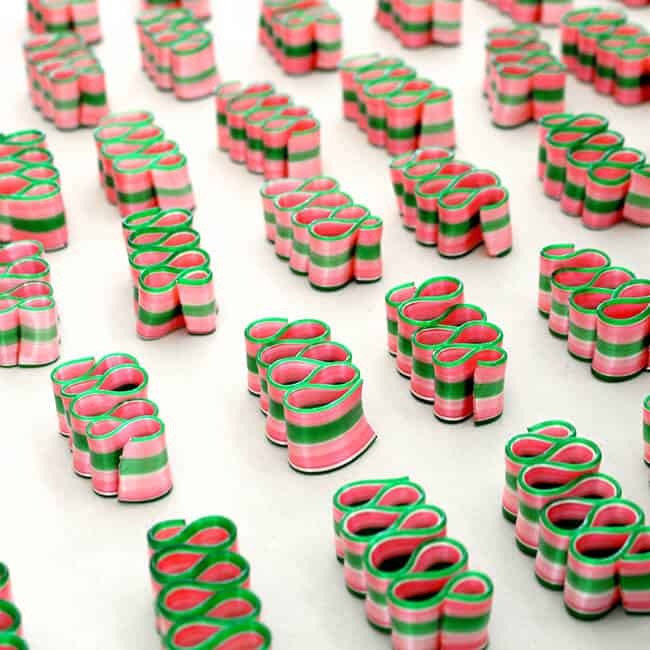 it is fun to watch the finished candies as they are placed on the counter into rows to cool. did i mention it smells really good?!?! as the demonstration wraps up, they allowed anyone who wants to try shaping their own piece of ribbon candy to do so for $1.55. 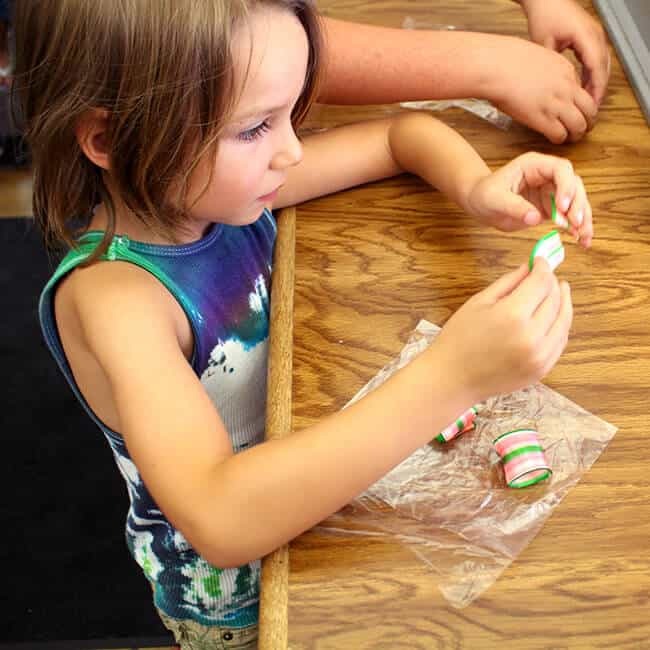 its a great hands-on experience for the kids to try, especially when they find out how fast they must work the candy before it is too hard. 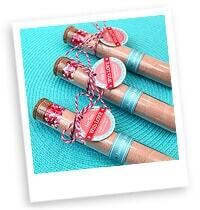 and their homemade candy canes. 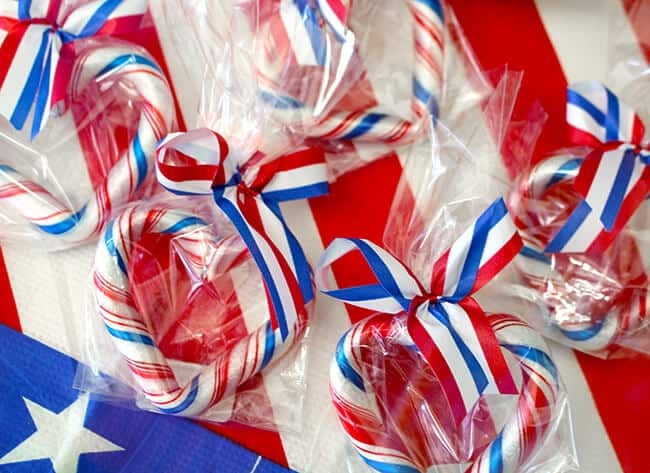 check out this batch of patriotic candy canes and candy hearts. 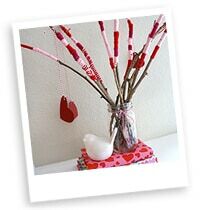 bring some pocket change for the kids to buy a few treats, as it is hard to resist all the yummy. 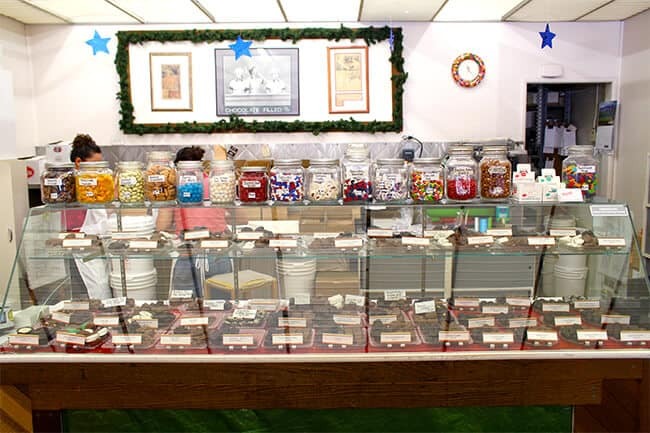 we really enjoyed the candy demonstration at Logan’s Candies. 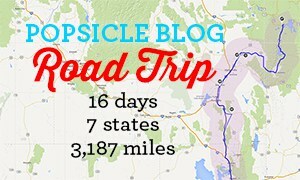 it was a bit of a drive from Orange County, so i would suggest having additional plans of things to do when you go there. 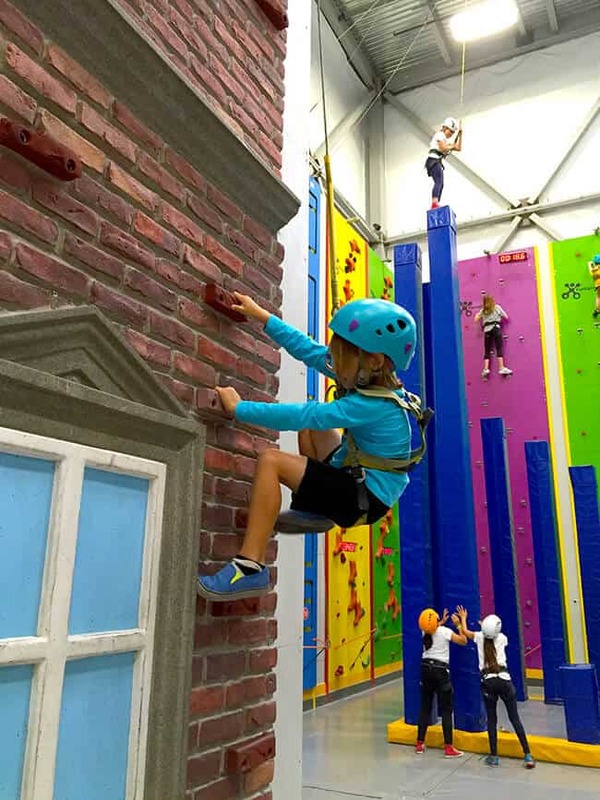 it is a great experience and makes a fun field trip for scouts and groups. go check them out! one of the things we are BLESSED with here in the OC, besides the weather, are the beautiful beaches. and with this being such a mild winter…the weather has been perfect to head down to the beach. 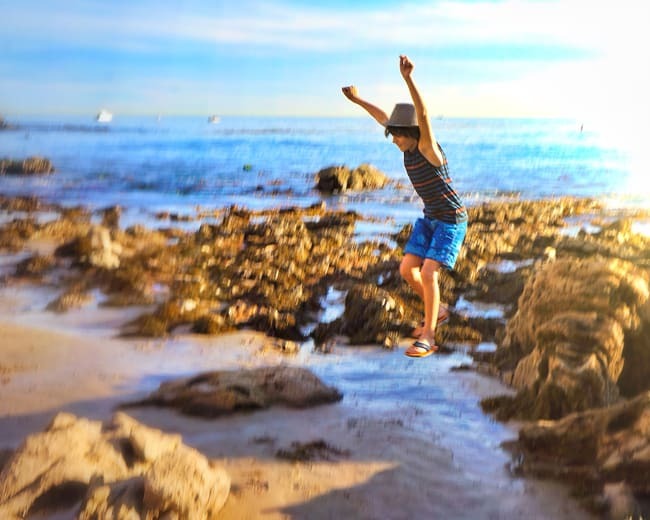 my boys love all of the beaches here in Orange County, but when they have the choice, they always pick going to the beaches with tidepools. 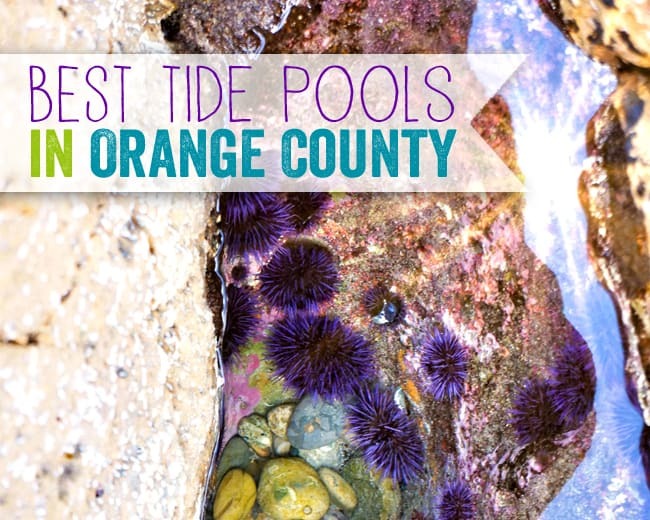 there are some great Orange County tide pools here in SoCal, perfect for families to explore. we go to the tidepools often, even on cold days because you don’t really have to get wet. just your feet. so you can wear a hoodie and roll-up your pants so you can wade in the pools. but honestly, how often do you really need to wear pants here! 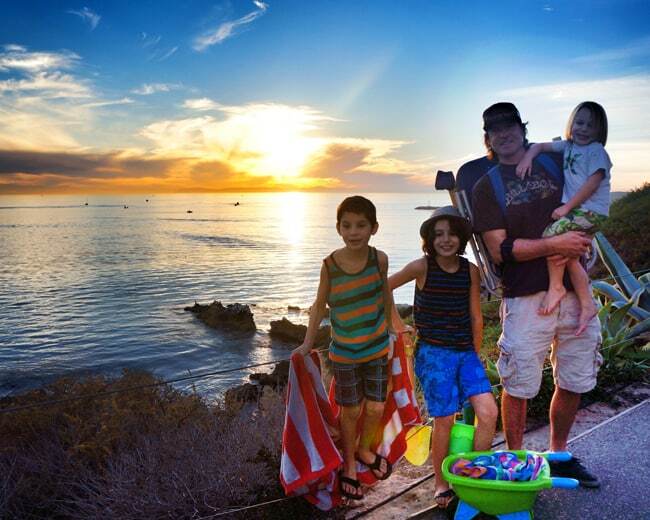 last week, we took the boys to our favorite tide pools in Corona Del Mar. it is often called “Little Corona” and is located off of Pacific Coast Highway on Poppy Street. you can park on Ocean Boulevard, and walk down the hill to the small coved beach. the waves are small and kids can wade into the water without to much worry from the adults. and there are lots of rocks and areas to explore. 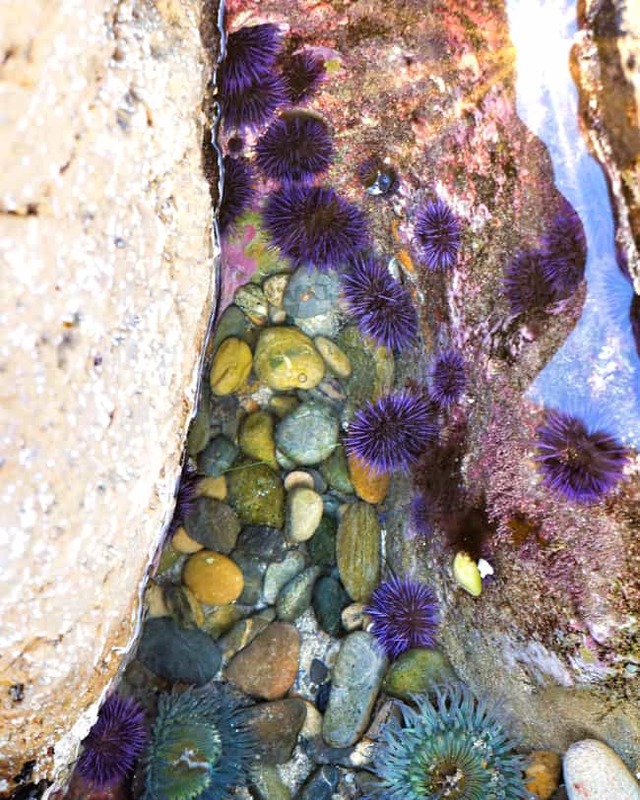 and all these sea urchins were nestled in a rock pool hidden on the side of a big boulder. we climbed up the side and were surprised at what we found. we spent the rest of the time hiking up some of the larger rocks just to see what was on the other side, and enjoying the beauty that surrounded us. it was one of those days you wish would never end. Reef Point, Rocky Bight, Pelican Point, north end of Treasure Cove are the best places to explore here. you can park in the beach’s parking lots for $15 per day. this is Laguna’s main beach. often crowded, and parking is scarce. you can find public parking lots in the shops north of Pacific Coast Highway. this beach is flanked on both sides by some small tide pools. 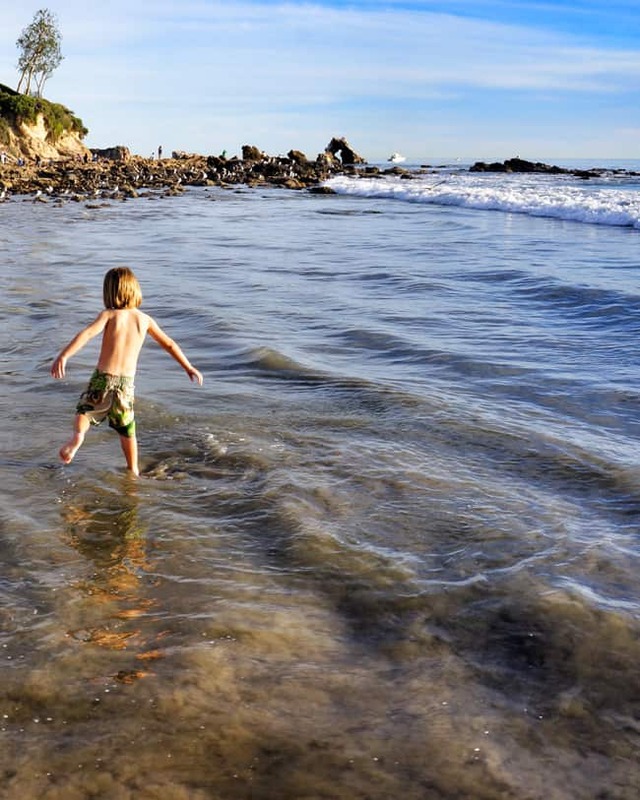 you can find the Heisler Park tide pools and Shaw’s Cove tide pools in the beaches north of it…just a short walking distance. located at the bottom of a small hill, you will find a small beach with tide pools flanking both sides. restrooms are located halfway down the hill, and lifeguards patrol the beach during summer hours only. street parking is available for no charge, but can be hard to find during busy times. 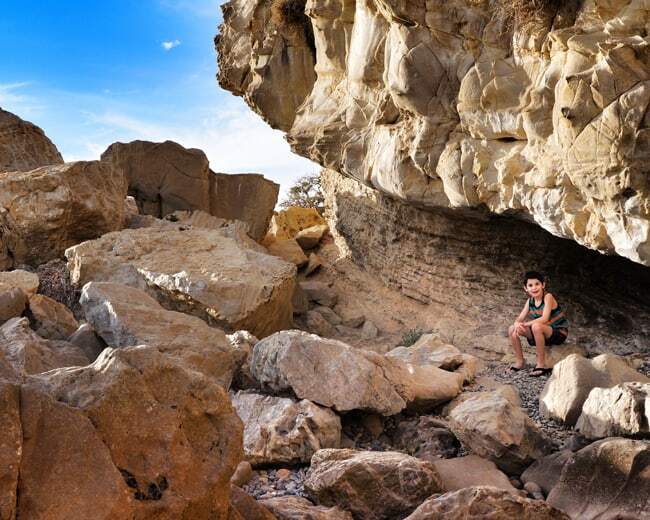 this is one of the hidden gems of Orange County, and a bit of a hike to get to. 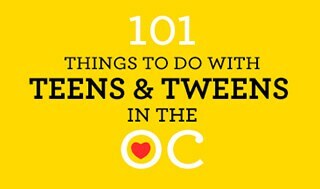 there is only one small public parking lot off Wesly Dr. (Parking is horrible) or you can park on the street on the north side of PCH up the hill. to get to the beach, follow the sidewalk path that runs along the front of the Montage Resort, past the main hotel’s beach. north of that beach you will find a stairway leading down to the small tide pool flanked beach. the cliffside views of this beach are breathtaking. a small beach hidden off of main beach located within the Laguna State Beach Marine Preserve. it’s one of the local favorites for tide pools and snorkeling/diving. the waters are clear here and you are sure to find anemoes, sea critters, starfish and even rays and sharks. 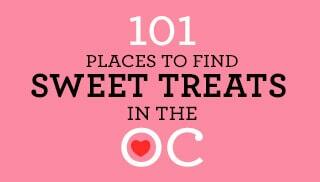 this is a little hidden gem of Orange County north of main beach in Laguna. parking is metered at the park above the beach on the cliffs. stairs lead down to a small rocky cove beach. be sure to watch the tides here as it comes up quickly here, and you can get trapped. be careful bring small kids here because it is rocky. this beach is full of character and has great views and trails to explore. this beach is a sandy stretch with rocky areas at the north and south ends. off the north point there is a large rock about 120 yards off shore called Seal Rock because of the seals and sea lions that take refuge there. it’s often closed due to high tide and it’s dangerous rocks. 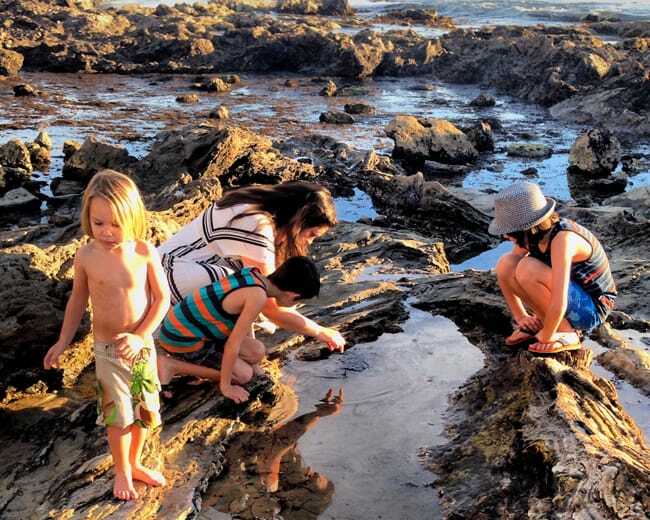 when visiting the tide pools in Orange County, make sure that you are careful when exploring the tide pools. it is a good idea to wear shoes, and remember, collecting sea animals and rocks are prohibited. it is REALLY IMPORTANT to check the tide before you go, or else you may find a beach covered with water and no rocks to explore in sight. we were fortunate to have a negative tide this particular day (meaning the tide was out further than normal) so we had more tide pools to explore than most of the days we go. 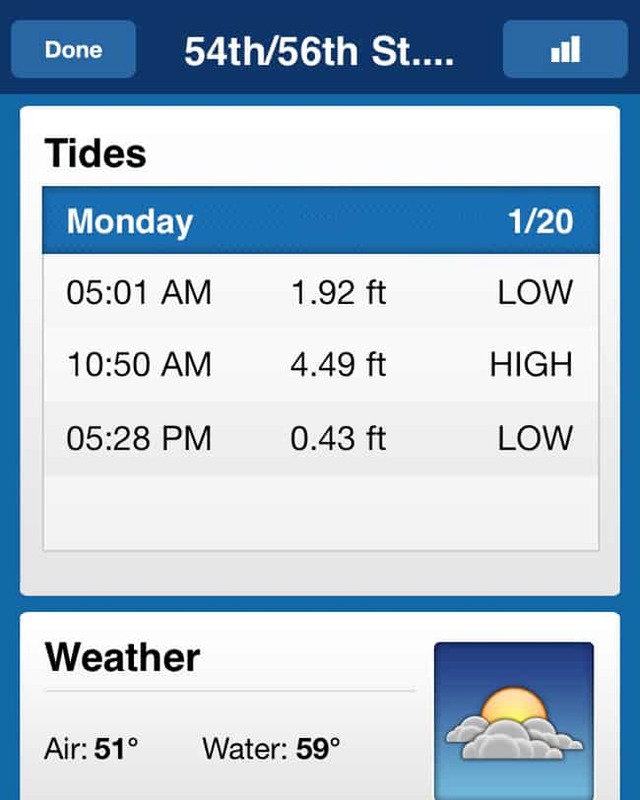 you can check the beach tides online, or by using an app on your phone such as the Surfline. 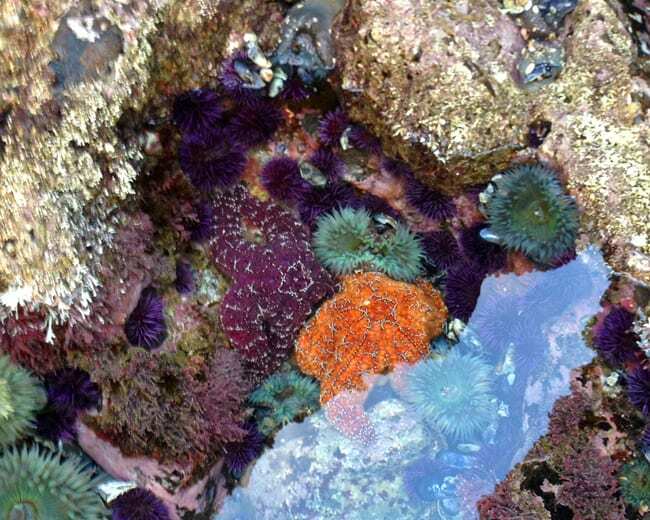 and if you can time your visit to the tide pools to end around sunset time, you will be in for a special treat. beach sunsets are amazing and bring a sense of peace and calm to your spirit. this is one of the special treats you get for living on the west coast. a sunset like this is the perfect ending to a perfect day. this month’s Free Monthly LEGO Mini Model Build is going to be a duck! did you know that one day each month you can learn how to build a cool LEGO mini model, and take it home – for FREE. it happens on the first tuesday of each month at your local LEGO Store. quantities are limited and the offer is good only while supplies last. you may want to come a little early. there is a new model available every month and which is specially themed to that month – ask a store associate for details! models are not for sale and cannot be purchased. 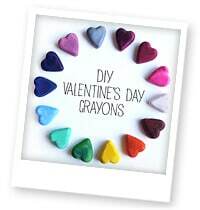 one free per child aged 6 to 14 only. check with your local LEGO Store for dates and times. 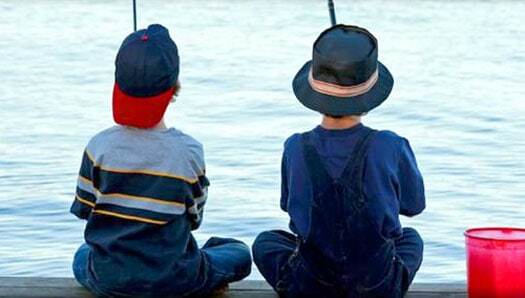 California Department of Fish and Wildlife and United Anglers of Southern California are pleased to present the Annual Kids’ Fishing Derby at the North Lake at Mile Square Regional Park. join OC Parks for a fun filled day of friendly competition and fishing at Mile Square Regional Park. kids ages 15 and under fish for free at the Fishing Derby and compete to win multiple prizes for finalists and champions in different age groups. 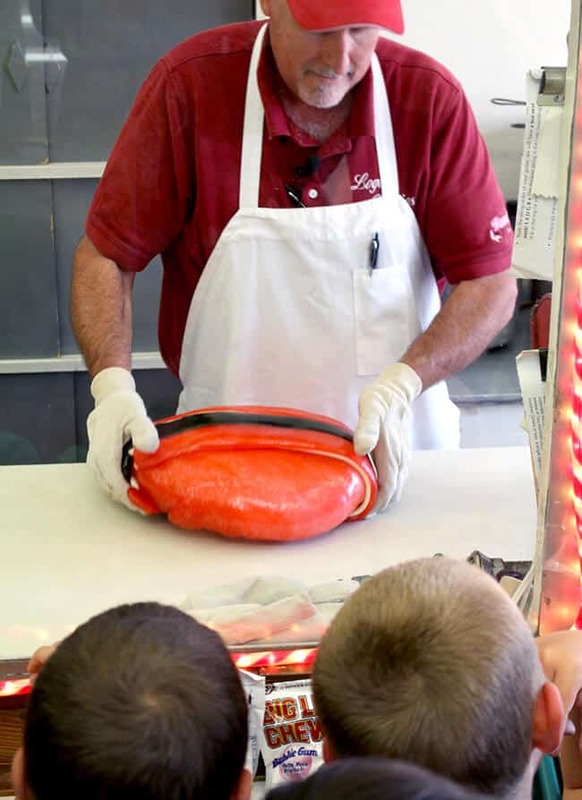 the Mile Square Regional Park’s north lake will be stocked with 1,500 pounds of trout just for the derby and fishing clinics will be hosted throughout the event. A complimentary barbecue lunch will be served to all who attend. Phil Friedman of Fish Talk Radio will be the master of ceremonies. Derby Registration: 7:30 – 8:30 a.m. • Derby starting promptly at 9 a.m.
A limited quantity of fishing rods will be available for loan.